The vehicles of tomorrow are driverless. That’s the future and it’s coming faster than you may have thought. Just ask RDM Group, where talented engineers are using SOLIDWORKS to help create the UK’s first autonomous vehicles. Driving the future of transport isn’t about creating more efficient engines. Or faster speeds. It’s about creating vehicles that are capable of thinking for themselves and negotiating journeys, without a driver behind the wheel. Think of the biggest names you can in motoring. Ford? Jaguar Land Rover? Chances are they are among the many vehicle manufacturers investing in autonomous vehicle technology. 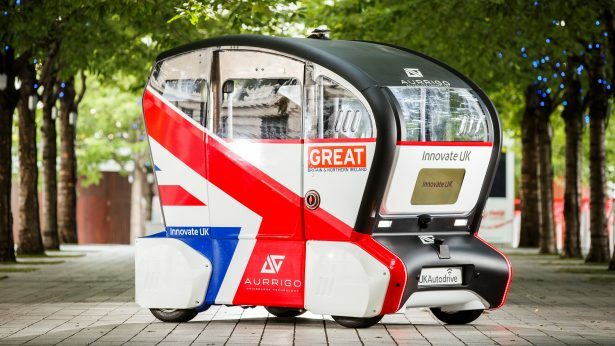 The UK government is also encouraging British businesses to invest their time and skill in developing the technology necessary to help the UK become a global leader in the driverless revolution. The first driverless vehicles you are likely to see are nothing like the cars you see on the roads when you look out of your nearest window. 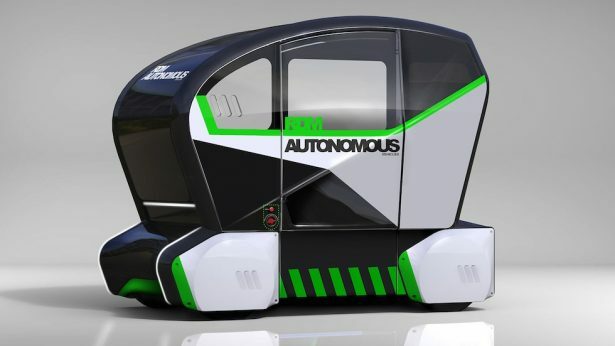 L-SATS (low-speed autonomous transport system) vehicles are the first target for the industry: small pod-like vehicles that move at slow speeds to ferry people or cargo across short distances. By no means is this a case of innovation for innovation’s sake. The UK’s cities have the dubious honour of owning the most congested roads in Europe. L-SATS vehicles are seen as the antidote; the future of inner-city transportation. They are the most futuristic thing on four wheels – and British engineering outfit RDM Group is the engine behind their development. RDM Group started out in 1993. Since then they have become a respected name in automotive engineering, thanks to a progressive philosophy that – quite simply – makes the future a reality for automotive manufacturers. Yet bringing the driverless revolution to life is without doubt the biggest and most exciting project it could possibly work on. The saying goes that there’s no need to reinvent the wheel. But with their driverless pods, RDM Group are having a good go at reinventing just about everything else. The vehicles adapt to their surroundings, thanks to a network of lasers placed at strategic points around the chassis. The on-board computers can make calculations and enact vehicular movements within milliseconds. As for night driving? No problem. RDM Group’s pods are equipped with night vision and can detect motion just as well as they can in the daytime. The pods also produce zero emissions, proving that technological advancement doesn’t have to be at odds with Mother Nature. RDM Group are currently developing 40 of their autonomous pods. All with the help of SOLIDWORKS. As you might imagine, creating a genuinely revolutionary product requires a lot of testing, tweaking and trialling. 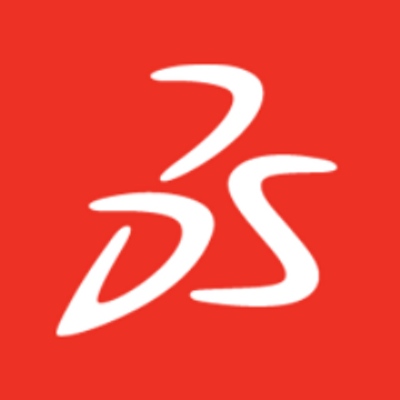 Since the inception of this project, RDM Group has used SOLIDWORKS 3D to draft ideas, manipulate design iterations and simulate how its creations would move and behave in the real world. All right there on screen, without the need to build physical prototypes. From surface finishes to mechanical workings, RDM Group has turned to SOLIDWORKS. Then there’s the collaborative benefits of SOLIDWORKS. To bring their product to life, RDM Group is working with a number of research institutes and international backers – including Warwick University’s WMG research centre, ARUP and Coventry University. SOLIDWORKS allows all parties to share design ideas and product data seamlessly, securely and swiftly. Tick, tick and tick. Unsurprisingly, RDM Group’s pods have generated global interest. From Australian university campuses to Asian holiday parks and European airports, businesses around the world are feverishly excited to utilise RDM Group’s driverless technology. RDM Group are currently manufacturing a fleet of around 35 pods and undertaking live trials around Milton Keynes. Trials are due to start in May 2018, the revolution has begun.